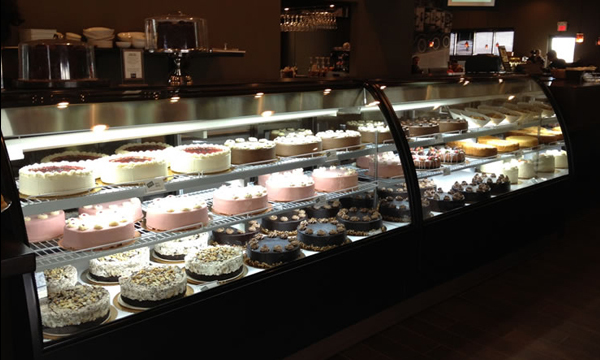 The Cheesecake Cafe is a full-service, upscale casual restaurant offering an eclectic and extensive menu, in-store bakery and full bar in a warm, inviting and comfortable setting. Memorable dining experiences are delivered through generous portions at great value served by attentive, personable staff. Innovative menu items made to order with quality ingredients range from appetizers to salads, pastas to steaks, and seafood to hamburgers while maintaining its commitment to what their guests truly love... comfort food. The menu features a section called Mother Cheesecake's Classics, which offers guests dishes from Liver and Onions to Meatloaf and Fish & Chips to Chicken Pot Pie. While we receive raves over our extensive menu, our loudest praise comes from our in-house bakery desserts headlined by our famous cheesecakes. Our bakers, dessert staff and chefs are on the job early to make each day's batch of goodies, breads, signature sauces, and dressings; to slice and fry fresh potatoes for our Cafe Chips, and to prepare for each of the hundreds of cheesecake slices they'll serve that day. President and co-founder, Bob Beeson, is also proud that the qualities that awarded The Cheesecake Cafe the Alberta Business Award of Distinction of Excellence still remain in place today, and allows for continued growth. Average Cafe sales are $3 million with 15,000 guests walking through the doors each month. Over the last 20 years, it's estimated that the Cafes have served 19 million guests and are proud to have employed 16,000 Albertans. Unlike many of our competitors, the company's marketing plans focus internally rather than externally. Half of the Cafe's marketing budget goes to our loyalty program Great Rewards!, the largest restaurant loyalty program in Canada. Business experience in the region. Franchisee intends to operate a Cafe. Background experience in hospitality/retail industry.